It’s Tuesday and that means TACOS! 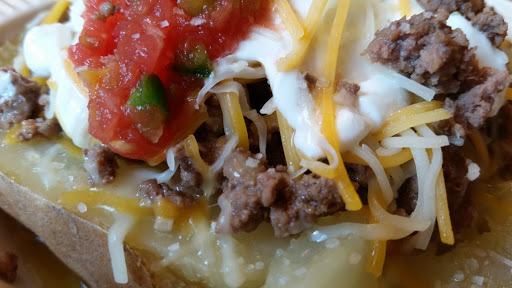 Except, I was really, really wanting a loaded baked potato. 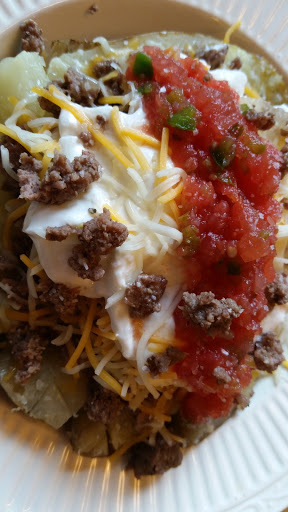 My mouth was watering just thinking about a perfectly cooked potato, piled full of butter, sour cream, cheese …..those ingredients go on tacos, too! Well, not the butter, but you know where my mind was going. Bake the potatoes until they are thoroughly cooked. Split down the center and pile on the toppings of your choice. My, oh my, oh my! Why haven’t I thought of this sooner? What could be better than my two favorite foods piled onto one plate!